If art is a sort of religion, you might say I’m the equivalent of an ecumenist. I’m drawn to artists and arts I don’t practice—poetry, visual arts, dance, music, philosophy, mathematics, architecture. They’re a mystery to me, in part, because I’m not a practitioner, only an outside observer. I’m always on the hunt for their intersections with the art I practice—memoir and essay. 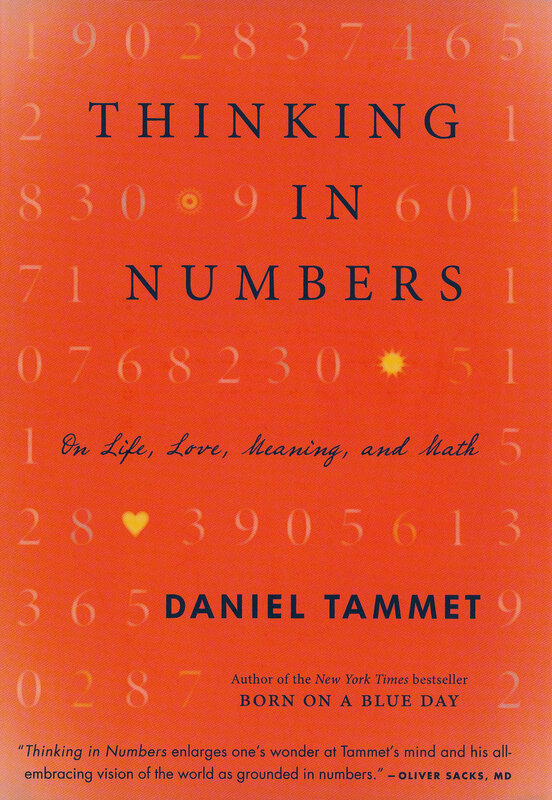 Imagine my delight when I discovered Daniel Tammet’s Thinking In Numbers (Little, Brown and Company, 2013), a meditation in essays, a near apologetic for the aesthetic and beauty of numbers, mathematics and the mathematician as artist. Tammet, an English essayist and memoirist with high-functioning autistic savant syndrome, has numerical and visual synesthesia. He, literally, thinks in numbers. Each of Tammet’s twenty-five essays find where mathematics and aspects of our culture converge—familial connections, language, literature, God, science, the natural world, social justice, human nature, and more. Their common thread? The beauty of numbers. Numbers permeate every aspect of our lives, but we rarely seem to recognize or use them unless we’re bending them for our own gain. Let me be honest. I’m horrible at math. I can hardly remember my multiplication tables. If you asked me to multiply nine and seven, I’d struggle to remember the answer. Except for basic addition and subtraction, I need a calculator for the simplest moves. Story problems, the kind that requires the student to figure the speed of Train A if it left the station at 1600 hours and arrived at its destination at 0800? Forget it. I’d be more interested in knowing whether it was a freight or passenger train, the look and feel of the landscape surrounding it, the tenor of the whistle. Thankfully, Tammet put me at ease early on. I was reminded of my third grade math teacher at Forest G. Hay Elementary School in South Bend, Indiana. A short, squat woman, who wasn’t warmly disposed toward puny third graders, arranged her “gifted and talented” math class in a circle around her. Each day she drilled us. Turning 360 degrees, she was the center point of the circle. When the radius of her unnerving gaze landed on one of us, she’d barked, “Three times eight!” or “Six times seven!” She expected an immediate answer. Whenever her gaze pointed at me, my face would redden and my mind, flustered and jumbled with anxiety, emptied. My numbers always failed me under such pressure. But in the deviant, there is imagination and poeticism. 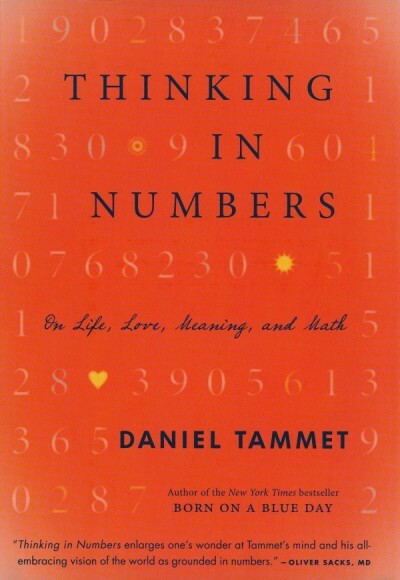 The mathematician’s impulse, says Tammet, is beauty, not memorization. As a writer in the often maligned navel-gazing genre, creative nonfiction, I am sympathetic toward the mathematician’s desire to be recognized as artist. While Tammet’s case for mathematician as artist is not new, he builds a careful equation made of essays. Taken together, they are a compelling literary proof, a deductive argument. Rather than purveyors of meaningless statistics or story problems, mathematicians create the same sorts of proofs, only with numbers. They, like the creative nonfiction writer, explore truthiness and elegance, the meaningful and arbitrary, our common humanity, while hunting for the singular, illuminating beauty of the individual within a sea of multitudes. Jennifer Ochstein has published work in Connotation Press, The Lindenwood Review, Evening Street Review and Hippocampus Magazine. Her work was nominated for a Pushcart Prize in 2012. She’s an arts writer for Hothouse Magazine, reviews books for the River Teeth blog, and is at work on a memoir. She currently teaches at a small, Midwestern, Christian liberal arts college. Follow her blog at jenniferochstein.com.